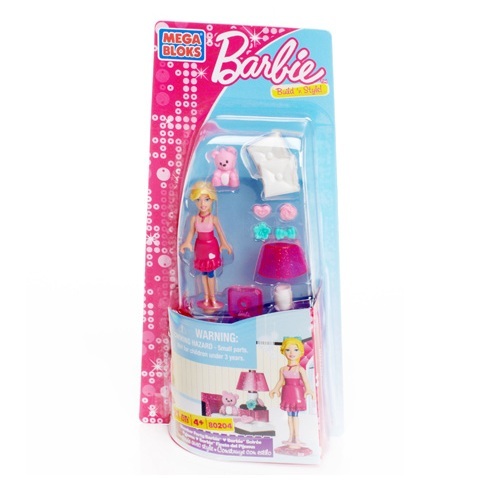 Product Detail Summary: Host a fun-filled pajama party for Slumber Party Barbie®! The Slumber Party Barbie® Accessory Pack comes with a sparkly bed, matching lamp and an adorable pink teddy bear, perfect for snuggling! Choose your favorite PJs and let the sleepover begin! Ideal for childen aged 4 and up! Combine with all of the Mega Bloks Barbie® sets to build a fabulous world of fashions, friends and fun!